Karen is a Performing Arts Librarian at the Royal Conservatoire of Scotland, where she’s also currently seconded part-time as a postdoctoral researcher and Principal Investigator for the AHRC-funded music research network, Claimed From Stationers’ Hall. She recently augmented her qualifications with a Postgraduate Certificate in Learning and Teaching in Higher Arts Education. 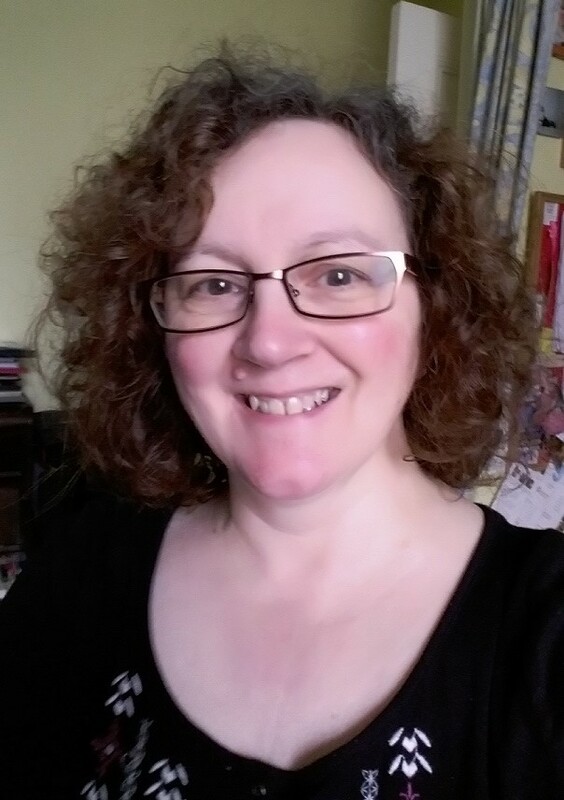 Karen has published on both librarianship and musicological topics. She got in touch with us via twitter after we put out a call for guest posts. She tells us about her research into the legal deposit of musical scores …. Did you know that the publishers of every new UK publication have to deposit six reference copies of their book, map, musical score, recording, journal (or whatever) in the British Library, the National Library of Scotland, Oxford University’s Bodleian Library, Cambridge University Library, Trinity College, Dublin and the National Library of Wales? The legal deposit system, administered by the National Library of Scotland as agent, means that wherever you are in the country, in theory you can apply to go and view any British publication. Nowadays, if an electronic version is available, then the deposit is made by electronic transfer, and you’d view the e-version in a legal deposit library. When Queen Anne’s 1709 copyright act was passed and legal deposit started, the registration process meant that publishers could assert their copyright in the works, and there would be a record of the date when they had been registered. The period that books remained in copyright was much shorter at that time. One can imagine the librarians’ sighs as yet more copies arrived, because they weren’t just receiving the useful textbooks that they really needed, but also children’s books, sheet music, and assorted printed matter such as ladies’ diaries and almanacs. In the early nineteenth century, the libraries were allowed to choose what they would receive, but some libraries decided to take it all, then make their selections when it arrived, whilst others made sure they wouldn’t be sent apparently trivial material. Music – which was historically engraved, not printed – wasn’t always considered to be subject to copyright. A famous case by Johann Christian Bach (son of the famous Johann Sebastian) and Carl Abel, successfully argued that engraved music did constitute intellectual property and was subject to the same legislation; their success led to music publishers and composers taking much more interest in legal deposit. A blogpost authored for the Claimed From Stationers’ Hall blog by Brianna E. Robertson Kirkland, ‘Venanzio Rauzzini (1746-1810): castrato, composer and copyright obsessed?’ illustrates this. You can read about early music copyright in the preface and introduction to Michael Kassler’s bibliography, Music Entries at Stationers’ Hall 1710-1818 (Ashgate, 2004). Kassler’s listing is invaluable, and the e-book version makes it possible to search by keywords for songs, etc. It helps establish which order musical works might have been composed in, and it’s great for producing accurately dated catalogue records or bibliographical listings, too. Oddly, far more music was published, than ever appeared in the Stationers’ Hall registers. Oxford scholar Giles Bergel recently explained part of the mystery to me: prior to 1710 publishers could get a receipt for their book being registered, but would have to pay to get it written into the register. It can be frustrating when there is no trace of the music being registered. There’s also always the possibility that a publisher remote from London might assert that the item had been entered at Stationers’ Hall, without actually doing so! For example, the registers bear no trace of many of the Georgian era Scottish fiddle tune collections. Without this, musicologists have to turn detective, both in terms of the music, and external documentation, to establish which imprint of, eg, a book of strathspeys by Niel Gow, came first. A couple of years ago, I began exploring the legal deposit collection of musical scores at the University of St Andrews. The University Library has a beautiful bound set of scores in the library’s Special Collections, along with a contemporary handwritten music catalogue, old archival records minuting decisions taken by the Georgian professors, and handwritten loan records for all books – not just music – for well over a century. I discovered that the music had been borrowed regularly by professors, their friends and families, and sometimes also by the undergraduates, who were much younger in Georgian Scotland than students are nowadays. If this was what happened in St Andrews, then can we assume it was the same in all the libraries entitled to receive legal deposit copies? No, we can’t! Different libraries made different choices, as I’ve hinted above. Even if they decided to receive everything, this didn’t mean they each kept the same things, because different universities and their professors would have had different priorities. The late eighteenth and early nineteenth centuries saw thousands of song-sheets, piano music (especially sets of variations or arrangements of popular operatic or other tunes), chamber music for instrumental ensembles, choral music, dance music from strathspeys to quadrilles, fatter books of songs or psalm-tunes. The list is endless. Incidentally, the piano variations on pre-existing tunes, often dismissed as trivial nowadays, reveal some fascinating copyright issues, as nineteenth-century publishers, composers and arrangers, and lawyers argued over whose tune it was in the first place, and how much original intellectual effort and input went into making a tune into a piano arrangement or set of variations. And sometimes, there was need to refer to the Stationers’ Hall registers to establish who first published a setting of a particular tune! W. Lockhart’s article, ‘Trial by ear: Legal attitudes to keyboard arrangement in nineteenth-century Britain’ in Music and Letters (2001), is a very readable account of this. I realised that the question, “Where did all the music go?” was by no means as straightforward as it might first appear. Just knowing the list of destinations was barely the beginning of the story. Encouraged by our Head of Research at the Royal Conservatoire of Scotland, I applied for AHRC (Arts and Humanities Research Council) funding to establish a research network to explore the history of this fascinating genre of legal deposit material. The Claimed From Stationers’ Hall network includes scholars from a wide variety of institutions, not just in the UK, and librarians not only from the present and past legal deposit libraries, but also other libraries. The network is helping us unearth just what did happen to all the music, and helps us to compare its fate in different libraries. Some libraries collected it faithfully from the outset, but others sold some of their legal deposit music in the early nineteenth century, plainly seeing little use for it. Indeed, one former library fell upon hard times, and seems to have disposed of legal deposit music later on and into the twentieth century before it closed and its remaining stock was deposited in another library. This material has cultural value, even where it was little better than ephemeral at the time of publication. For example, we can draw upon song-sheets to inform us about contemporary reactions to the Napoleonic War or child poverty; we can examine music composed by women, or using women’s lyrics; we can see what kinds of music were most popular at different times; and we can work out which publishers were depositing music most often, including the self-publishers – who it’s clear desperately wanted their work to go on record. For this reason the Claimed From Stationers’ Hall research network is both backward and forward-facing, looking both at the past history of the collections, and also at ways of improving catalogue access today, not to mention promoting the music itself. A forthcoming workshop for network members will address all these issues, and hopefully further workshops or performance events may in time take place, not only for scholars and students but also for the wider community. The Claimed From Stationers’ Hall music research network has a blog, Twitter (@ClaimedStatHall) and Facebook account. There’s a link on the blog to enable you to sign up to a dedicated discussion list, and there’s also an extensive bibliography on various aspects of copyright, legal deposit, and cultural history as it affects printed music. Do take a look – you’re sure to find something interesting or intriguing! We are grateful to Karen for sharing her insights into the fascinating world of legal deposit libraries and musical scores. These days books do not need to be registered at the Stationer’s Hall as part of the legal deposit process and there are no such formalities to qualify for copyright protection, however this historical legacy has provided a rich seam for researchers. Are you are researcher who’s work has been shaped by copyright in some way? If so, why not consider writing a guest post for us.